Peoria Kroger Store GretaWire Blog poster named Marcy thinks she seen Stacy at grocery store in Peoria on Monday 11/12/07 ILL GretaWire Blog Comments subject: "More on Sgt. Peterson Resignation"
"Comment by Marcy, November 14th, 2007 at 3:15 pm, "Is Stacy’s hair still a blonde color? I swear I saw a young woman down here in the 309 area code. [Note: Area code '309' is Peoria, Illinois] She was at a local grocery store. She hauntingly looked like Stacy. Her hair was shoulder length. But it was completely medium dark brown. She was wearing a black coat. And all she did was stand there and stare at me. I did not do anything. I looked at her though. I think that she is very much alive!! !Look if I went to the police they would not believe me anyway!!! This happened on Monday night [Note: Monday was November 12th].You should check with her psychiatrist. I am sure that she has been in contact with her Dr. I feel once they get the results from the second autopsy on his third wife and they find out she was murdered than Stacy will come out of hiding." Dairy Section ILL "An attorney for former police sergeant Drew Peterson says Peterson received an unsigned letter yesterday [11/21/2007] giving a detailed description of a sighting of his missing wife, Stacy Peterson." - "The letter carried a Peoria (Illinois) postmark and was dated November 19th. It detailed an encounter the writer had with Stacy on November 12th at a Kroger grocery store in Peoria." "Both Peoria city police and Peoria County sheriff’s officials said no reports had been filed regarding Stacy Peterson. They knew nothing of the alleged local sighting." "Brodsky declined to release the letter itself. "We don’t want anything to impede the investigation" ILL "Drew Peterson received the letter on Wednesday and didn’t open it until Thursday, the attorney said. Peterson, 53, who has been named a suspect by authorities investigating his 23-year-old wife’s disappearance, immediately called the Illinois State Police and his attorneys to notify them, Brodsky said. The Chicago attorney said Drew Peterson hopes the letter, which describes a sighting of a possibly pregnant Stacy Peterson at a Peoria Kroger’s store on Nov. 12, will lead authorities to his wife. Brodsky released a written statement on Thursday describing the letter Drew Peterson said he received. The letter, dated Nov. 12 and carrying a Peoria postmark, detailed an encounter the writer had with Stacy Peterson, according to the statement. Stacy Peterson wasn’t alone and might have been trying to be noticed, the letter said. A man appeared to be with her. She was not shopping, but was standing in the dairy section looking at the letter writer. She appeared to have "a little pudge," the letter writer wrote, asking if she was pregnant. Brodsky declined to release the letter itself. "We don’t want anything to impede the investigation" he told The Associated Press." in Peoria, IL ILL CHICAGO TRIBUNE VIDEO ("Drew Peterson's Attorney says an anonymous letter proves Stacy's alive" (1:00): "Stacy's friends and relatives don't believe that letter." "I [Sharon Bychowski] think it's really sad that he would take the time to make Peoria as the place because that's where her sisters hospital was when she was dying of cancer . I think it's so sad." and passport ILL "I find it very interesting that Mr. Peterson put any value on the letter, especially since his initial statement was that she took her passport, bikini and a large amount of money and went to the Bahamas," Bosco said. Bosco also was skeptical of other details in the unsigned letter in Brodsky's possession, and said she doubted Stacy appeared pregnant, as had been reported. "She had a very expensive tummy tuck," Bosco said. "She wasn't pregnant." "The Illinois State Police Department has requested surveillance video from a Peoria Kroger store in connection with the Stacy Peterson investigation. Stacy, the wife of former Bolingbrook Police Sergeant Drew Peterson, has been missing for nearly a month. Her husband is considered a suspect in her disappearance, but he says Stacy left him for another man. An anonymous letter with a Peoria postmark was sent to Drew Peterson's attorney detailing an encounter the writer had with Stacy on November 12 at a Peoria Kroger. 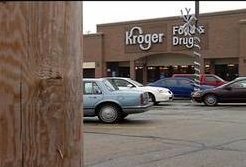 A Kroger spokesman told us surveillance video from the Madison Park Kroger on Harmon Highway has been turned over to state police. State investigators would not comment specifically on the video, but did say it is under investigation." Area Code 309 is Peoria ILL "Either two people think they saw Stacy Peterson in a Peoria grocery store on Nov. 12 -- or the same individual who reportedly sent a letter to Drew Peterson also posted a note about the sighting on a Fox News blog. The comment by "Marcy" appears in the feedback section of Greta Van Susteren's "GretaWire" blog. It was posted on Wednesday, Nov. 14 at 3:15 p.m.
"Is Stacy's hair still a blonde color? I swear I saw a young woman down here in the 309 area code. She hauntingly looked like Stacy ... all she did was stand there and stare at me. I did not do anything. I looked at her though. I think that she is very much alive!!! Look if I went to the police they would not believe me anyway!!! This happened on Monday night ..."
Just who gave the so called anonymous Peoria letter to the Nancy Grace Show? ILL JANE VELEZ-MITCHELL, GUEST HOST: "Now, adding to all of these shocking developments, there is a letter that Drew Peterson says he got, an anonymous letter, and it is a humdinger. Let me read it to you, and then we`re going to get reaction from our panel. "Dear Drew Peterson: Hello. I am writing to you and I am taking a wild chance communicating with you, but I do not care. I just want you to know that I believe I saw your wife, Stacy. I saw her at a local grocery store in Peoria. I ran into her on Monday night, November 12, 2007. She is alive!" Three exclamation points. "She was wearing a black coat, black pants and wearing white athletic shoes. I did not speak to her. I do not want to be identified. I saw her, though. She did not even have a grocery cart. She just stood in the aisle and stared at me with those big, beautiful brown eyes. Drew, is there any chance that she could be pregnant? She has a little pudge. Maybe that is why she is dressed in black." - JANE VELEZ-MITCHELL: "OK, let`s get to the second part of this letter because it`s hilarious. "I am very upset with Dr. Michael Baden. I hope that your lawyers will be able to get rid of him. I do not believe in anything he says. He needs to retire. He got paid pretty well for that. I am not fooled."